ESS Cross hair sunglasses available at 911gear.ca At ESS, superior function comes standard. 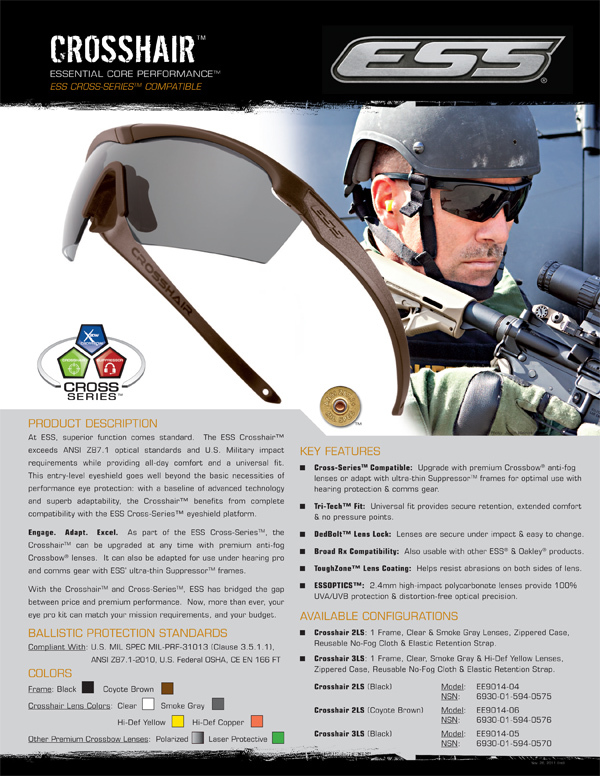 The ESS Crosshair™ exceeds ANSI Z87.1 optical standards and U.S. Military impact requirements while providing all-day comfort and a universal fit. 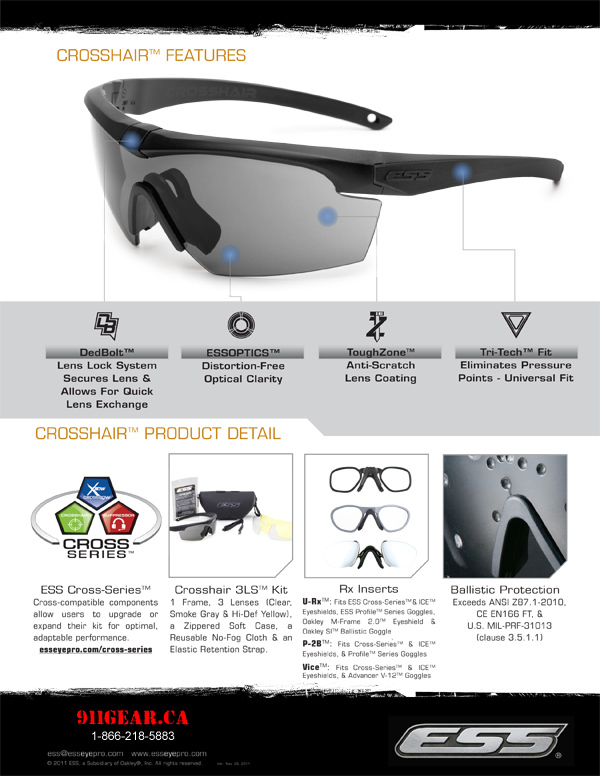 This entry-level eyeshield goes well beyond the basic necessities of performance eye protection: with a baseline of advanced technology and superb adaptability, the Crosshair™ benefits from complete compatibility with the ESS Cross-Series™ eyeshield platform.